We are excited to announce that we were recently named Best of Houzz 2019 in the Design category by Houzz, the leading platform for home remodeling and design. Bartelt was chosen by the more than 40 million monthly unique users that comprise the Houzz community. 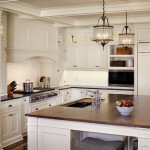 Are you familiar with Houzz? Whether you’re dreaming about a remodel or actively planning a project, it’s a great resource to find inspiration and learn about products and materials. While you’re there, be sure to check out our profile! 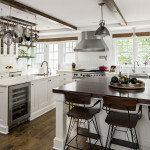 This entry was posted in Awards, In the News and tagged Best of Houzz, Best of Houzz 2019, Delafield Remodeler, Design Awards, Design Inspiration, Designer Awards, Home Design, Home Improvement, Home Inspiration, Home Remodel, Home Remodeling, Houzz, Interior Design, Interior Design Awards, Interior Designer, Lake Country Remodeler, Milwaukee Remodeler, Remodeler, Remodeler Awards, Remodelers Awards, Remodeling Awards, Southeastern Wisconsin Remodeler, Waukesha Remodeler, Wisconsin Remodeler on February 13, 2019 by amanda. This entry was posted in In the News and tagged 2017 In Review, Barn, Barn Construction, Barn Wood, Barnwood, Bartelt Electric, Bartelt Year In Review, Contractor of the Year, Custom Barn, Delafield Remodeler, Designer of Distinction, Electric, Electrical Division, Electrician, Faces of Exceptional Remodeling Experiences, Gary Wetzel, Home Improvement, Hunger Task Force, Hunger Task Force Food Drive, Lake Country Remodeler, M Magazine, Master Electrician, Milwaukee Remodeler, Modern Barn, NARI Contractor of the Year, NARI CotY, NARI CotY Winner, National Contractor of the Year, Qualified Remodeler, Remodeling Awards, Remodeling Magazine, Southeastern Wisconsin Remodeler, Viking, Waukesha Remodeler, Welcome Home, Wisconsin Remodeler, Year in Review on January 16, 2018 by amanda.